We're sorry, but space One space, three rooms. In Berlin Neukölln is no longer available. The whole location just for you. 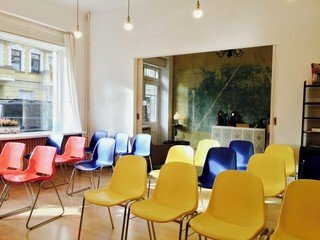 Rent our main seminar room plus two smaller rooms for group or single work. 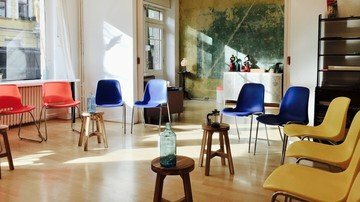 Whatever you´re looking for: A space for your presentation, your workshop, your off-site meeting or your teambuilding event. Our space is your location for up to 20 guests. 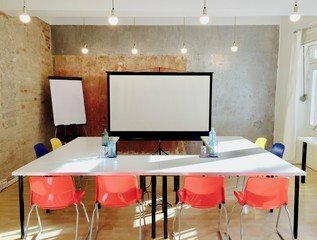 Our seminar room is coming with an adjoining café area for your casual breaks. 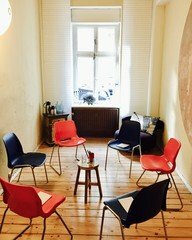 Additionally, two smaller rooms for group or single sessions are at your disposal as well. 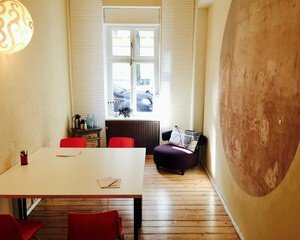 Enjoy the unique Neukölln feeling in our ground-level room with a high window front and plenty of natural light. - Room 1: U-shape or block-shape tables (for up to 10 participants). Chairs in a circle (for up to 15 participants) or chairs in cinema arrangement (for up to 20 participants). (approx. 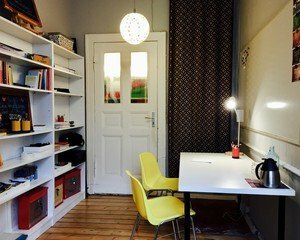 45 sqm). 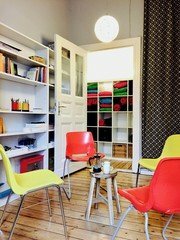 - Room 2: Cozy atmosphere for group work and meetings (approx. 15 sqm). - Room 3: Calm environment with backyard view (approx. 11 sqm). - Need workshop equipment? Rent a projector + screen, a flipchart and a presentation case. Regularly Mon-Sun from 9am to 7pm. If you want to start earlier or finish later, we will be happy to make you an individual offer. Enjoy the surrounding area of Schiller-Kiez. Take a walk to Tempelhofer Feld (takes five minutes). Have a delicious lunch break around the corner (list of recommended restaurants available). Please leave the room as you found it. If you cater yourself, we kindly ask you for special care.